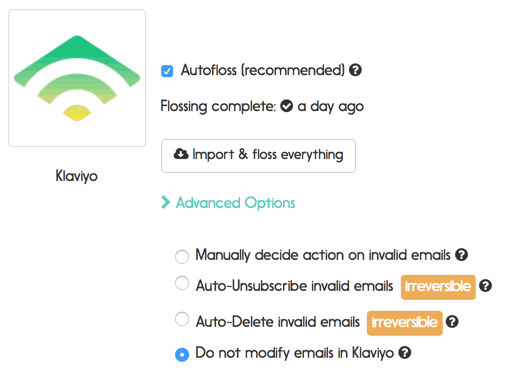 If you’re using mailfloss for Klaviyo email verification, you have four options at your disposal. 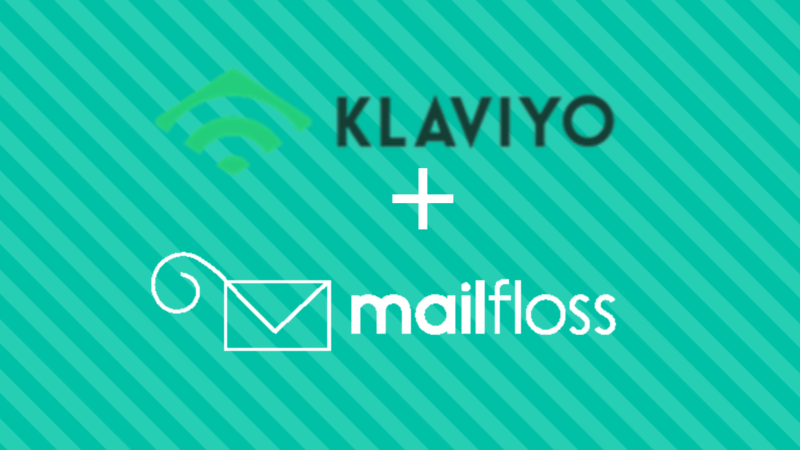 Before explaining the four options, make sure you have properly connected Klaviyo to mailfloss. You only need to do this once and from then on mailfloss will be able to automatically perform email verifications for the connected Klaviyo account. 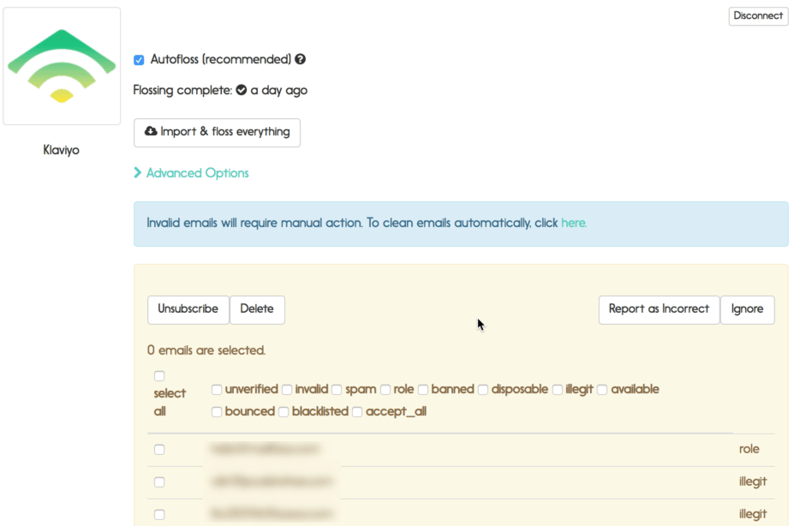 With manual mode set, you can later decide to delete, unsubscribe, ignore, or report the status as incorrect for all contacts mailfloss determined as invalid. The second option “Unsubscribe bad emails” will unsubscribe the contact from Klaviyo and remove the contact from the lists it belongs to. This action is irreversible. You’ll see the contact in Klaviyo under “List Suppressions”. The third option “Delete bad emails” is also irreversible. Once deleted, the contact is gone from the lists it belongs to inside Klaviyo. The final option is “do nothing”. Basically, all this option does is send you an email report of the latest floss session, but doesn’t actually change anything inside of Klaviyo or mailfloss. This is most like boring, traditional email validation services, but is useful if you just want a report of the email verification statuses determined by mailfloss for the connected Klaviyo account and nothing more. Next StoryKlaviyo Email Verification is here! Klaviyo Email Verification is here!